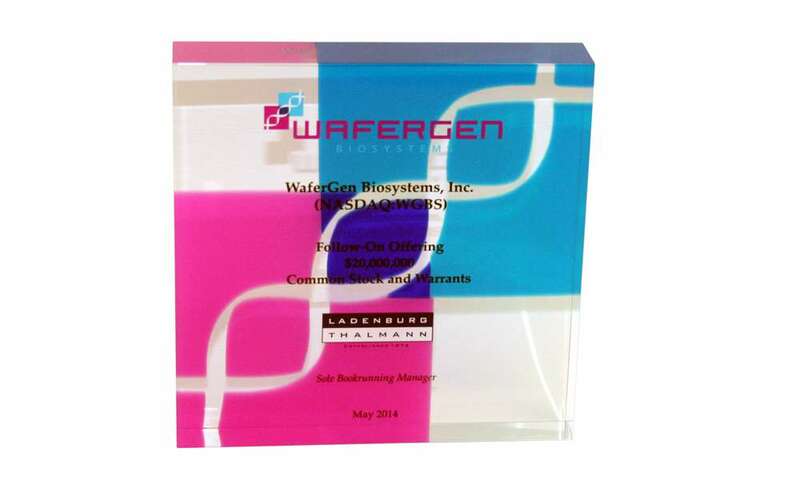 Custom employee recognition award presented by biopharmaceutical firm Gilead Sciences. 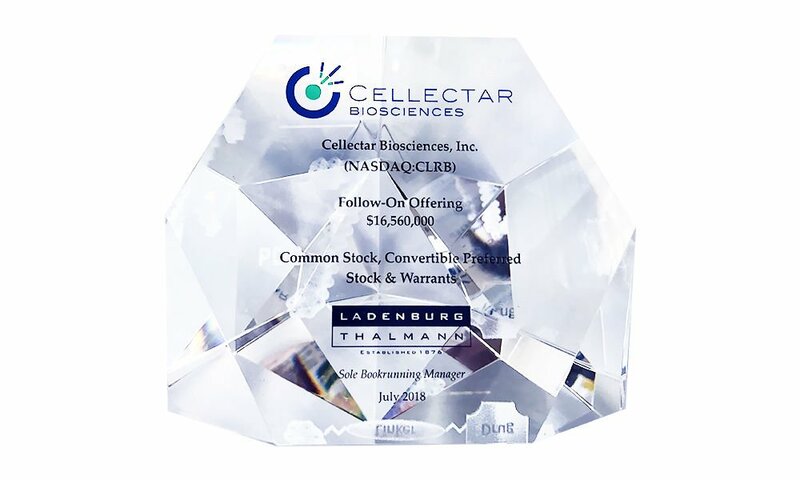 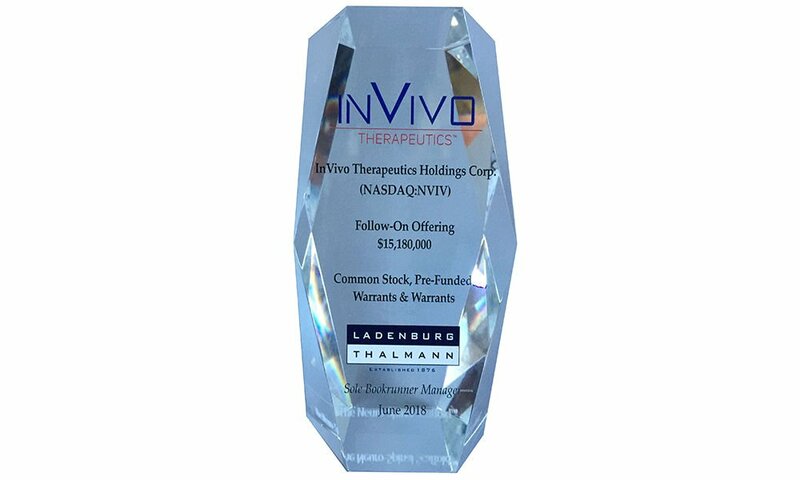 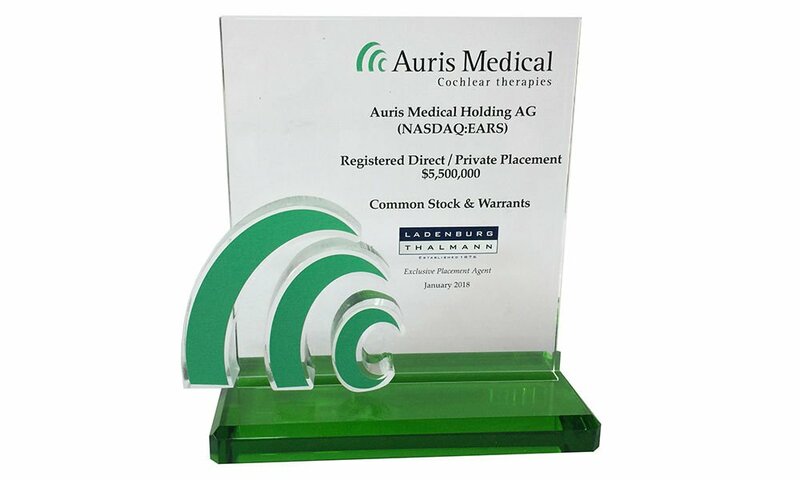 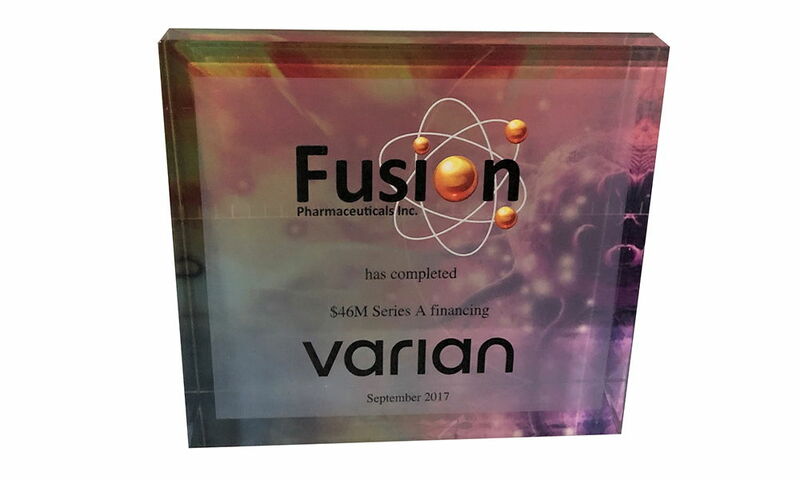 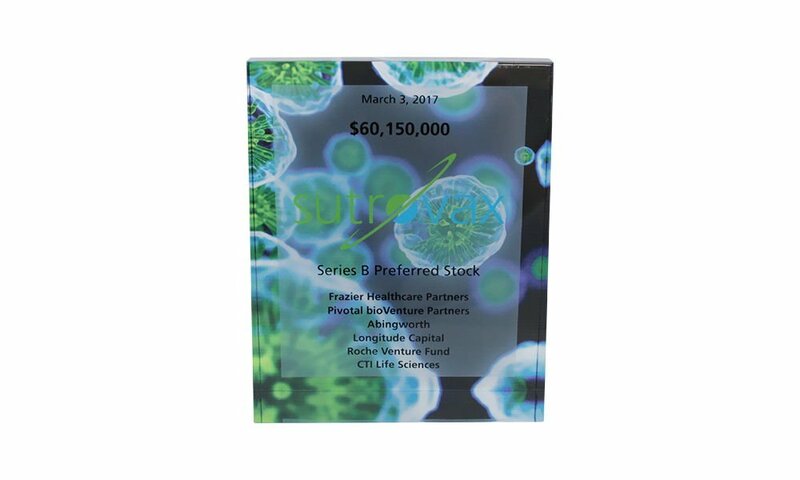 Lucite tombstone marking a follow-on offering by RXi Pharmaceuticals, a biotech firm based in Marlborough, Massachusetts. 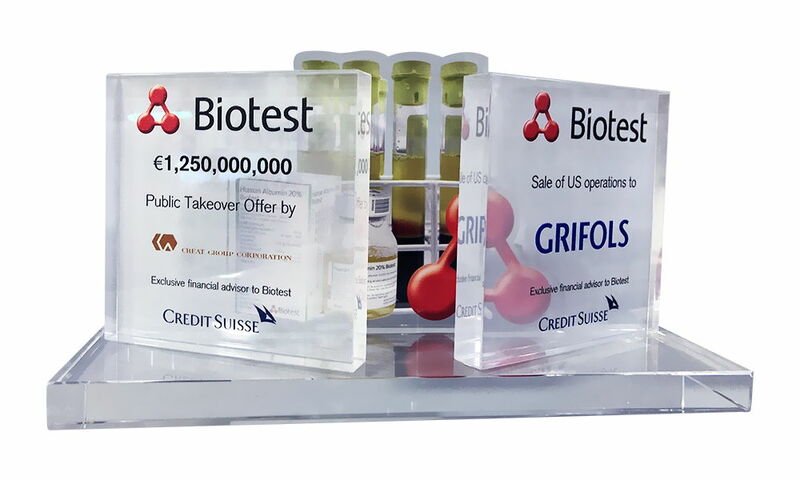 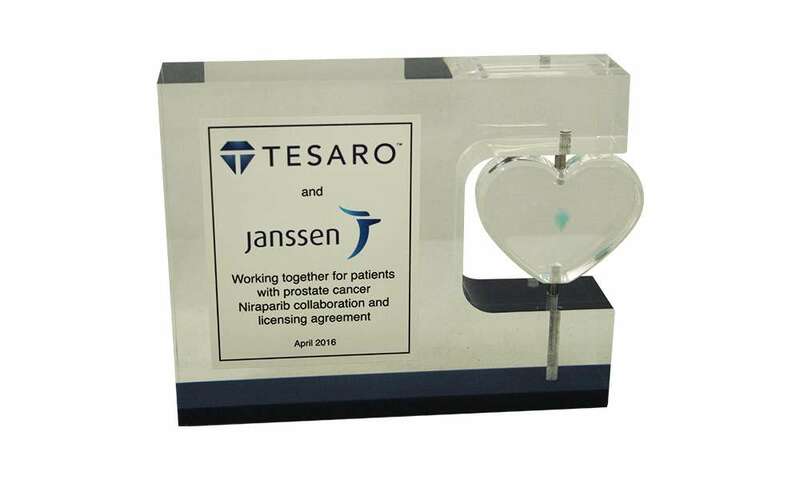 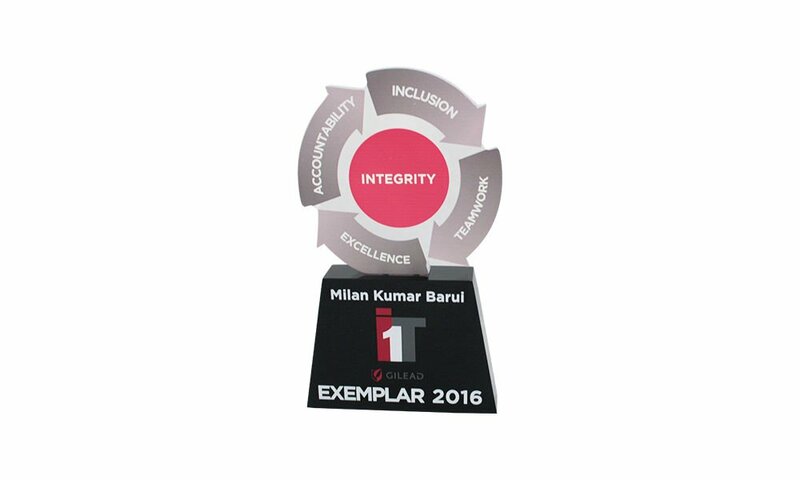 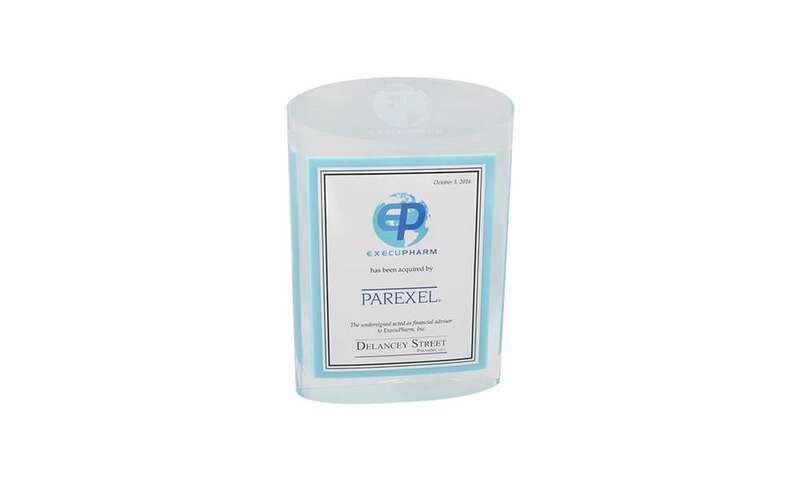 Lucite tombstone marking the acquisition by Parexel of ExecuPharm, a biopharmaceutical service provider. 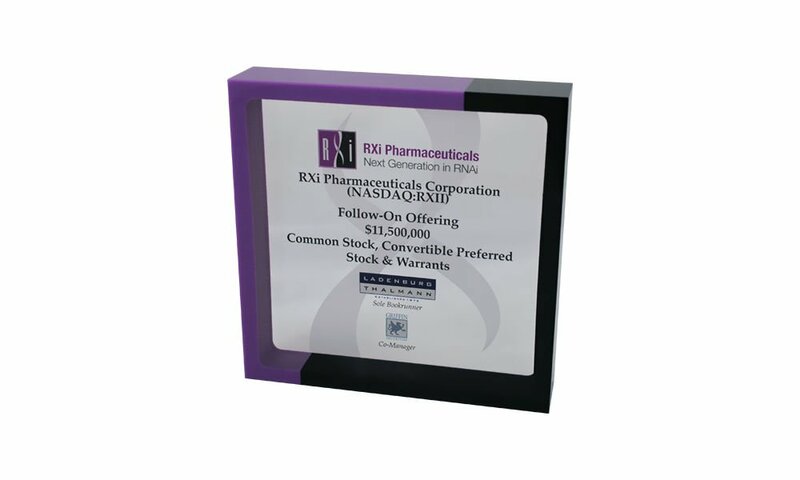 ExecuPharm is based in King of Prussia, Pennsylvania. 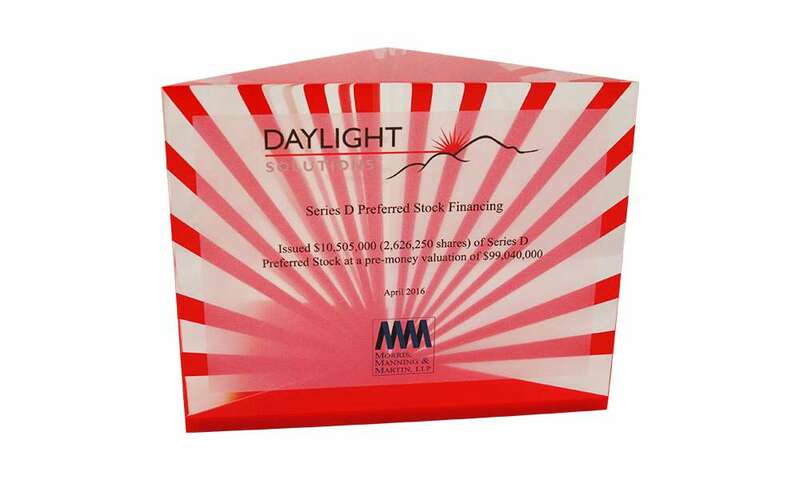 (Click here to see other variations of oval-shaped Lucites). 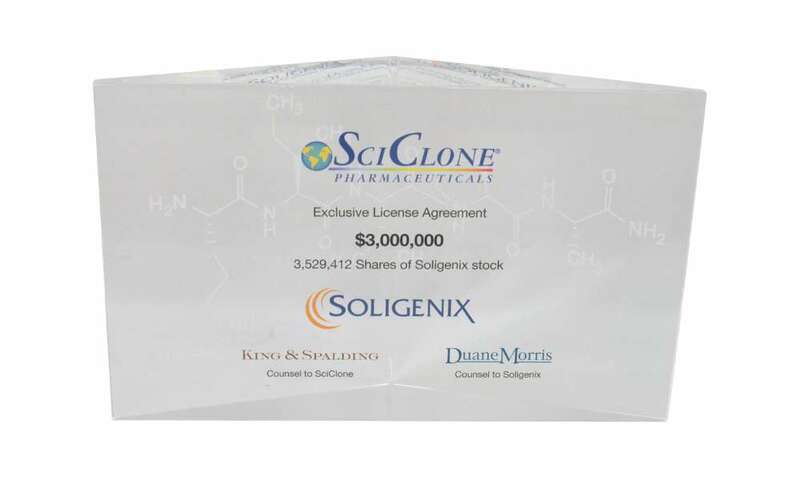 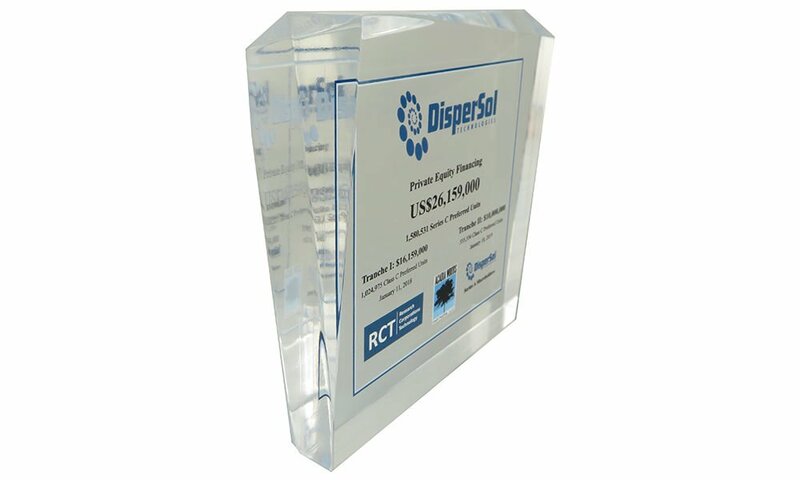 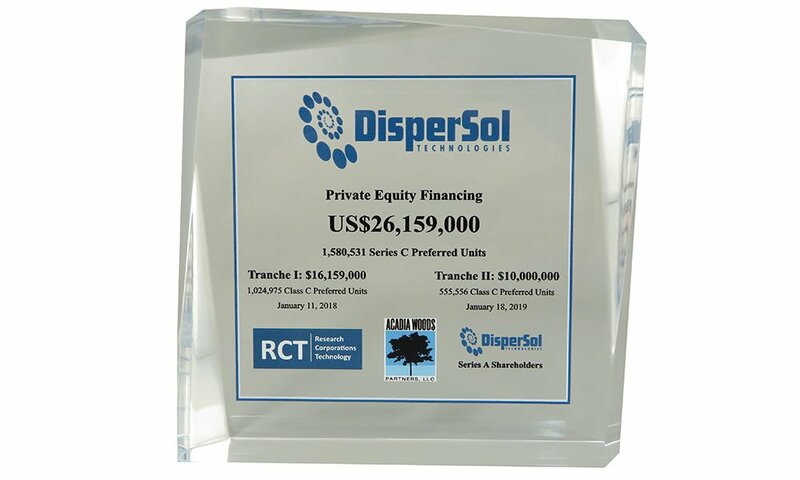 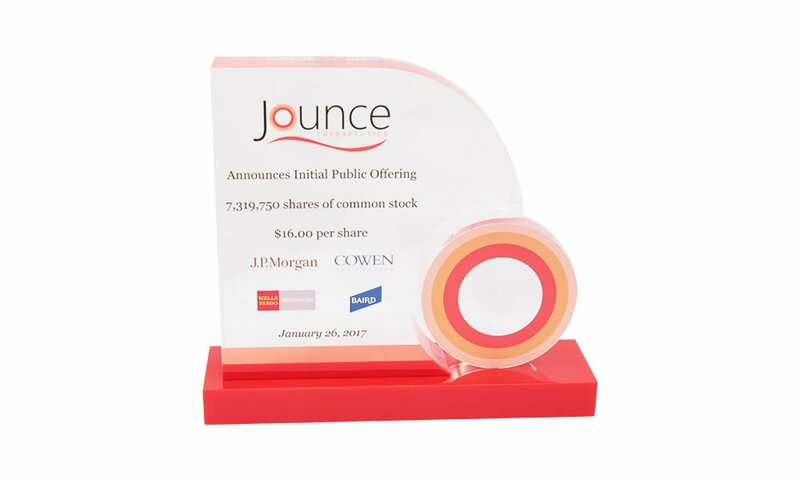 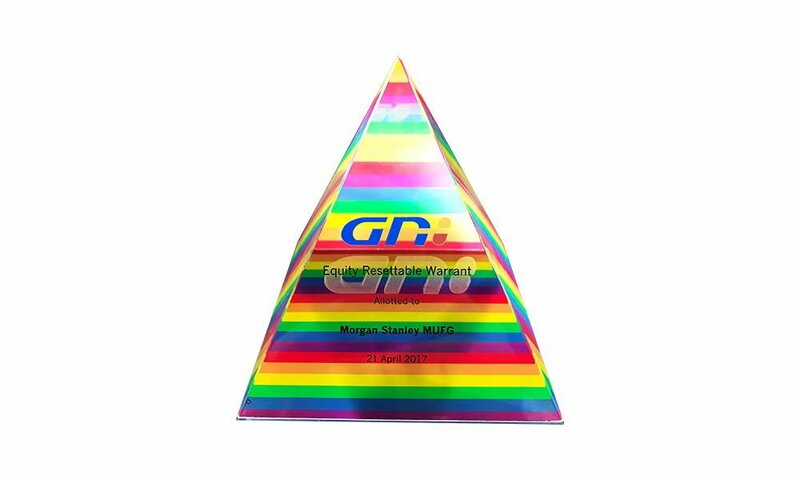 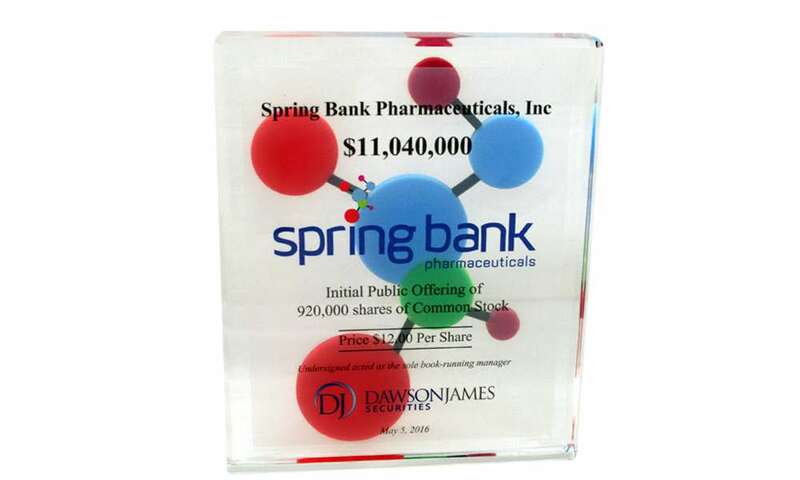 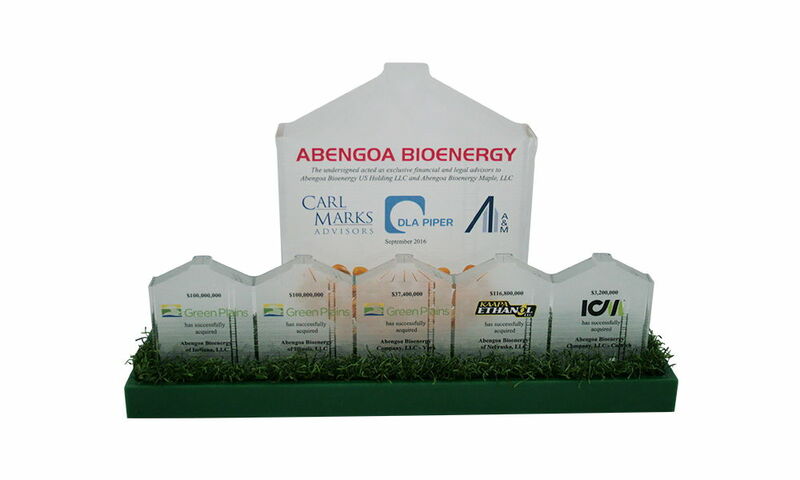 Custom Lucite commemorative marking an exclusive licensing agreement between Soligenix and SciClone. 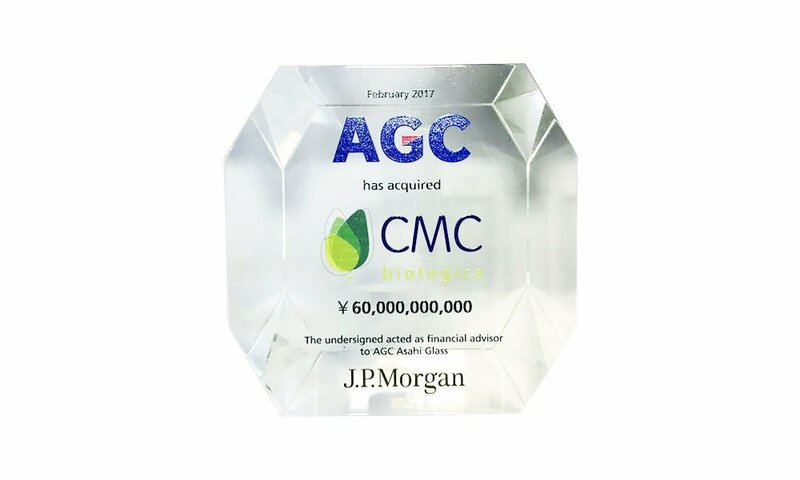 (6ALJC10). 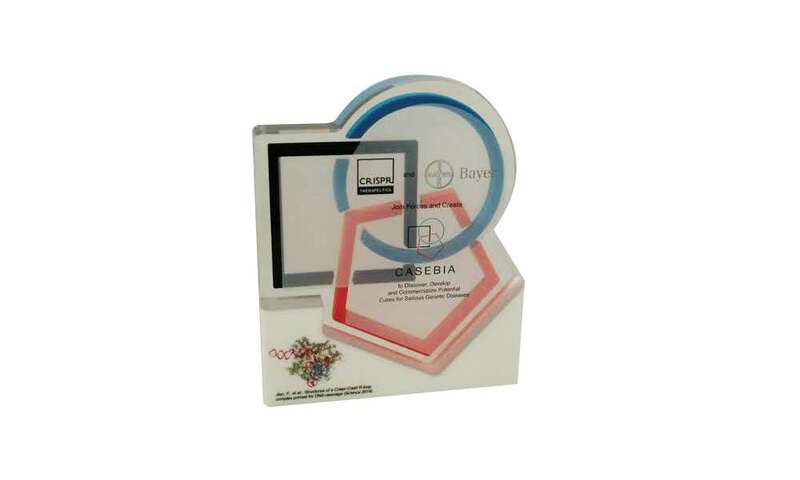 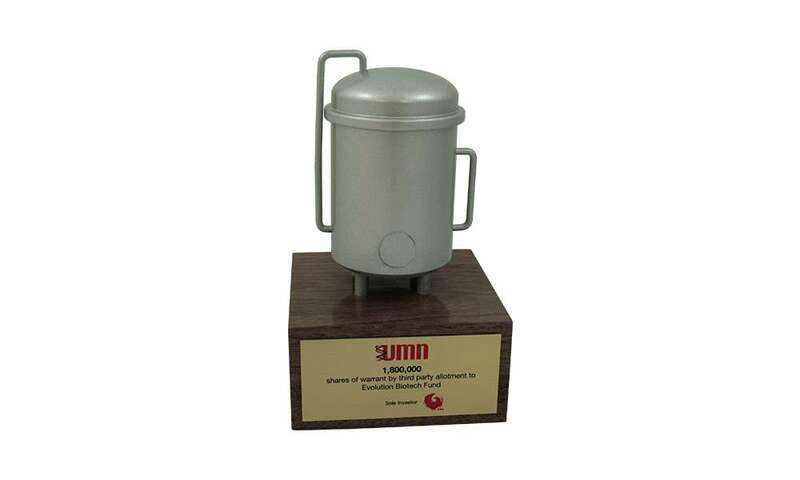 (Click here to see other examples of pharmaceutical industry commemoratives or Lucite prism shapes). 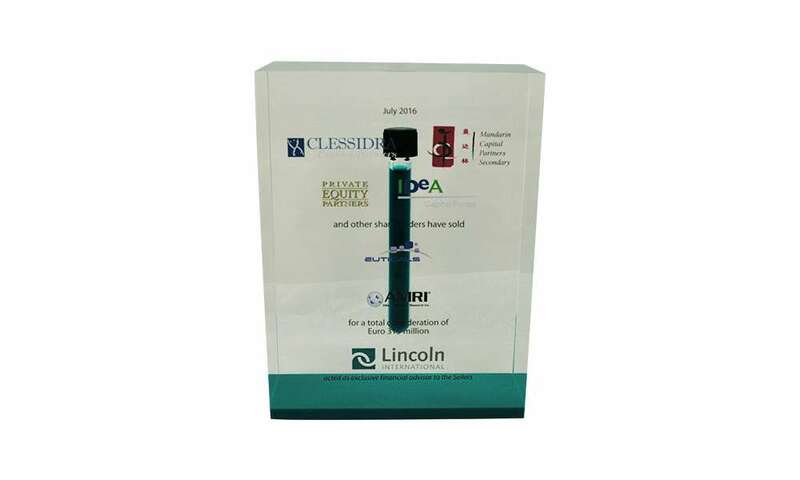 Lucite embedment featuring test tube marking the acquisition of Lodi, Italy-based Euticals. 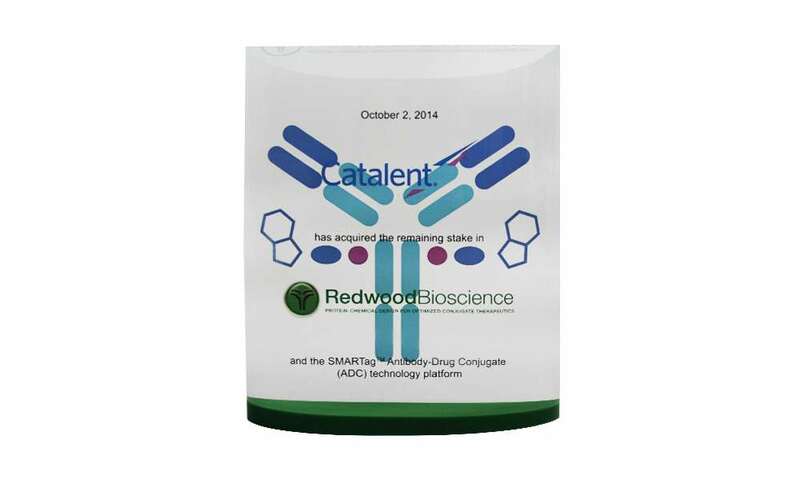 Euticals is focused on custom synthesis and the manufacture of active pharmaceutical ingredients. 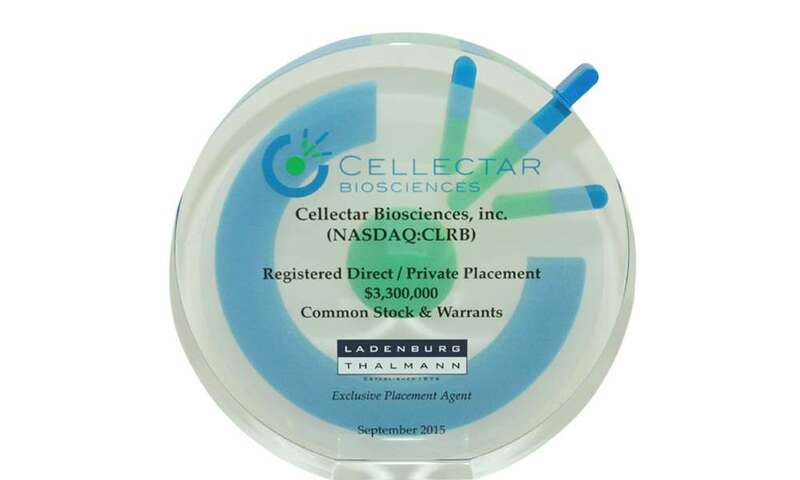 (6LACC42). 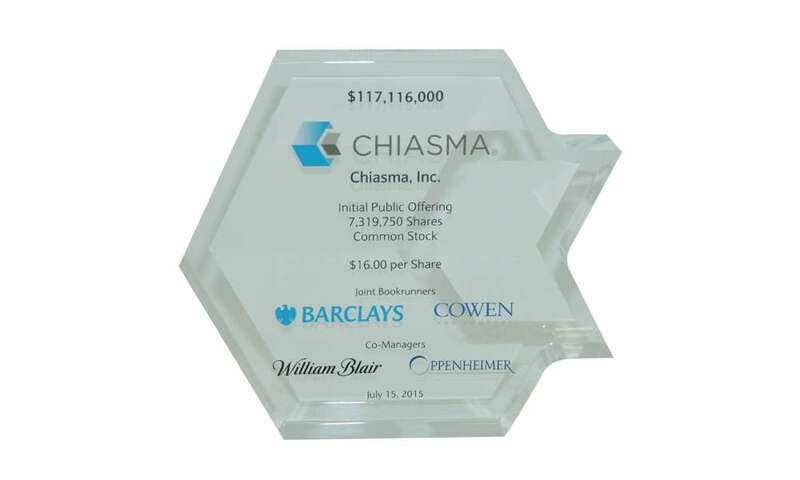 Follow this link to see other examples of Lucite embedments. 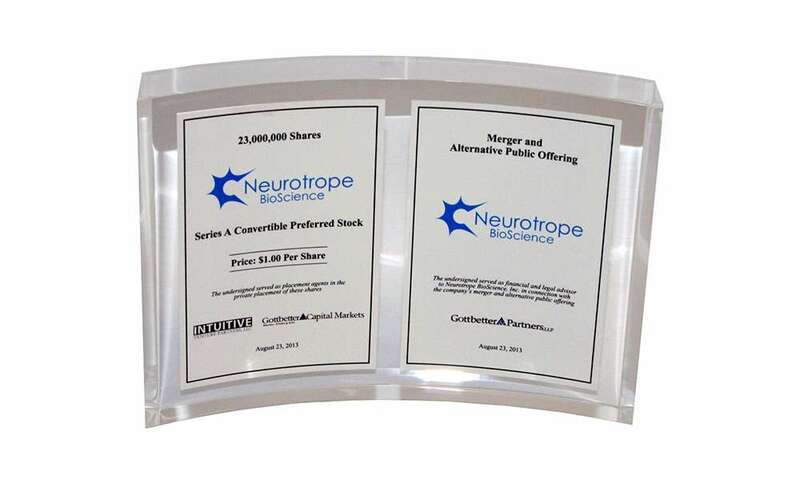 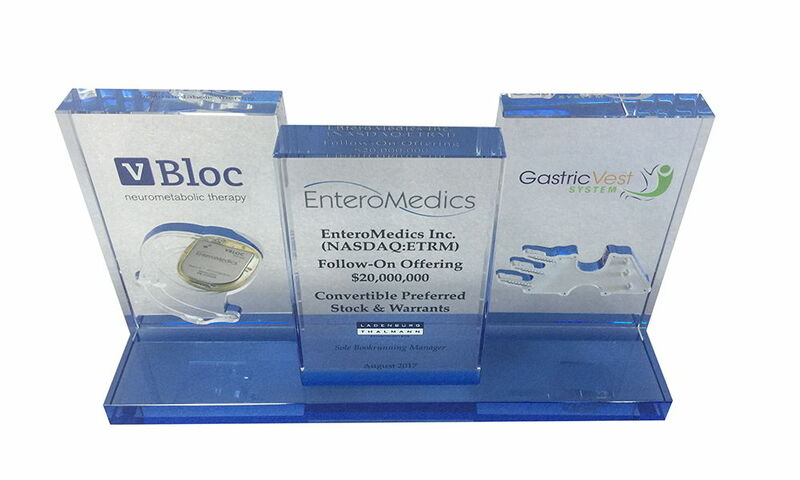 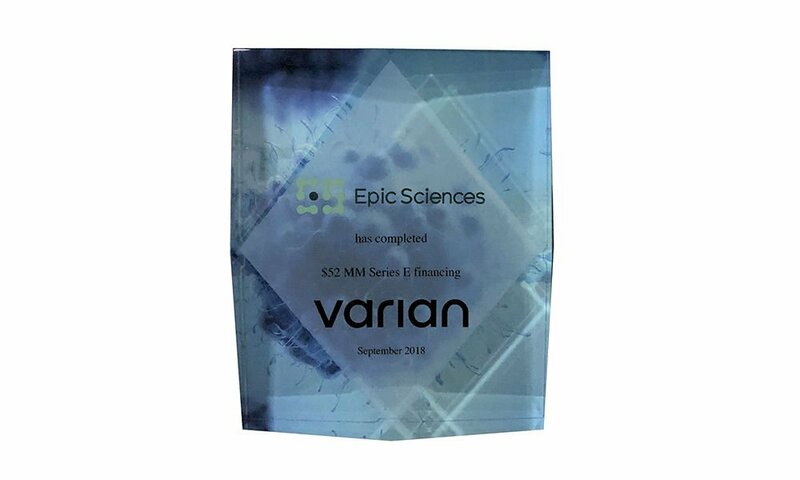 Financial tombstone commemorating two offerings of stock in Neurotrope BioScience. 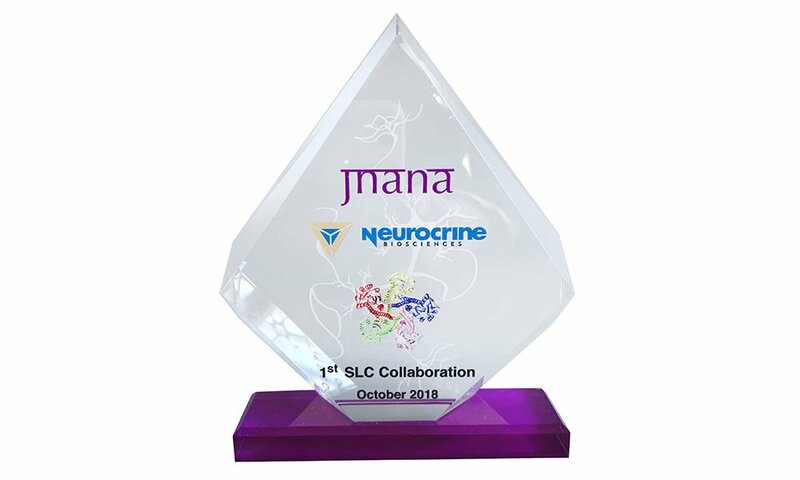 Headquartered in Newark, New Jersey, Neurotrope is a biopharmaceutical and diagnostics firm principally focused on the diagnosis and treatment of Alzheimer’s Disease.